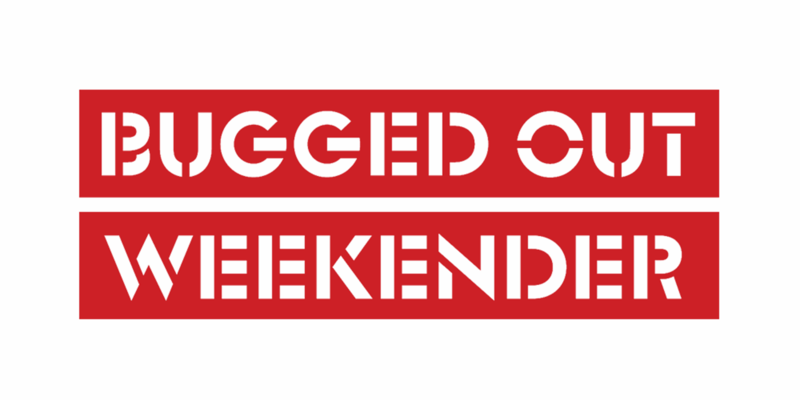 The annual Bugged Out Weekender is descending once again on British holiday institution Butlins, Bognor Regis for a super-healthy dose of hedonism in January in 2016. With the summer over half way done, panic is setting in amongst the British public that Winter will fast be upon us once again like an old class mate that won’t leave you alone on Facebook. But don’t stress, help is at hand in the form of that old naughty friend who won’t let you repent your Christmas sins… the Bugged Out Weekender 2016 - where January is king and you don’t need the sun to have a splash around in between thrill-inducing water park facilities and pool side sounds… No. All you need to do is book your one-way ticket to happiness for that otherwise smiley face-sparing weekend in January. Big Green Coach Company can make sure you get there safely and ethically and will probably also carry your depleted but happy soul back to reality, when it will almost be February and therefore almost Spring. Prolific denizens of house Catz 'N Dogz are no strangers to BUGGEDOut! and the all conquering Polish duo and Pets Recordings bosses / Dirtybird affiliates will be out in force at this years Weekender, for one of their electrifying displays of live house bangers. Becoming a very big deal after releasing his debut EP on Dirtybird back in 2009, Bristol bass-house maverick Julio Bashmore is on for the get down, an artist whose meteoric rise and credentials know no bounds, and who is about to release his long anticipated and critically acclaimed debut album ‘Knockin' Boots’. Fresh from launching their own imprint 17 Steps, London electronic power duo and BUGGEDOut! favourites Dusky will be gracing the decks bringing their forward thinking flavours to the fore. NonPlus Records boss Boddika will provide an injection of raw techno analogue energy to proceedings and Gerd Janson, Robert Johnson / Panorama Bar resident who founded influential house label Running Back, will be making his Weekender debut. Also joining the 2016 edition is Glasgow’s Sub Club resident and this summers break out festival star, Jasper James along with BUGGEDOut! resident Lemmy Ashton.